CFR Group is a leader in industrial, manufacturing and agri-food productivity optimization. What makes us unique is the way we collaborate with our customers. By listening to your needs, and partnering together, we can create turn-key solutions that allow you to increase your company’s productivity. The collaboration doesn’t end there; Post-installment, CFR Group customer service and technical teams are on-call for you to ensure proper maintenance during the after-sales period. CFR Group has developed, manufactured and integrated many innovative equipment. His services included design and the manufacture of tailor-made equipment, engineering, automation of production lines, integration ofrobotic solutions as well as the realization of projects in research and development. CFR Group can also use its in-house expertise to adapt existing equipment, which helps to avoid having to start from scratch. This is one of the many ways that our company can become your partner of choice and greatly reduce your risk. 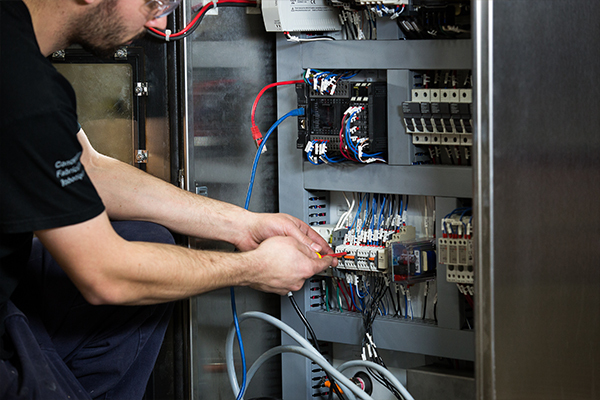 Our technical team consists of certified engineers, experienced technicians, programmers, machinists, welders, electromechanical engineers and industrial mechanics. When you work with one of our team, you can rest assured that he or she has the support of the complete CFR Group organization. Our goal: to increase your company’s productivity and enhance your product quality by using innovative equipment that delivers return on investment! CFR Group began back in 1997. Our current president started a business called Atelier Mario Langlois. The following year, he incorporated under the name CFR Dorchester. The name came from the owner’s vision of the company’s activities, taken from the French “la conception, la fabrication et la robotique”. (design, manufacturing and robotics). The company, located in Sainte-Claire in the former Dorchester County, now Chaudière-Appalaches, has evolved dynamically over the years. Since the beginning we have been constantly acquiring new expertise as the industry has evolved. In the 2000’s, two new businesses were created: CFR Control and CFR Assainissement. Then, in 2012, the three companies were consolidated and merged under the name CFR inc.
A new chapter is now being written in our history. Samuel Langlois, the son of Mario Langlois, grew up surrounded by the company and has been working here full time since 2017. He has plans to work with his team in order to develop CFR into a thorougly modern company, while respecting the values ​​put in place by his father. With its unique level of expertise, CFR Group is able to help companies that have a high volume of operations requiring a high labor input. CFR Group offers turnkey solutions that take into account the realities of each sector of activity. Everything is designed for the efficient and accurate execution of each task. We maintain the highest standards of precision and quality and we strive to exceed them. We rely on a partnership approach. We believe in the importance of mutual respect in our relationships, exchanges and commitments. We strive to develop long-term relationships. This is helped by our high sense of ethics. We are committed to maintaining honest relationships with all of our partners. We strive to constantly improve our efficiency and the quality of our products. 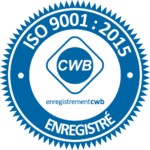 A testament to this is our accreditation with the ISO 9001: 2008 standard, which recognizes our commitment to the highest quality. Combined with the efforts of the entire team, this contributes to our main objective: customer satisfaction! The welding department of CFR Group is accredited according to standard CWB 47.1. meaning that we meet the industry standards of safety and product quality. We’re delighted to be able to meet the needs of our clients by maintaining this level of excellence. CFR Group is accredited by CSA for the manufacture of enclosures and the mounting of control panels. 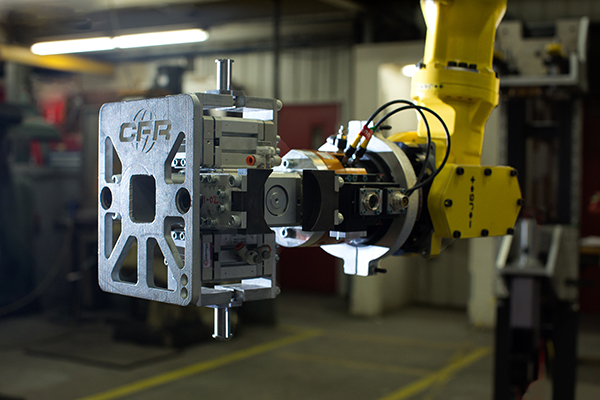 CFR Group is an authorized FANUC integrator. Some of our robotic cells use the Visual Component simulation software platform. Innovation is fundamental to CFR Group’s corporate philosophy. To innovate, CFR Group constantly improves its work process. Our business practices and our quality management systems are customer satisfaction oriented. Groupe CFR’s quality policy and related objectives are regularly monitored during management review and communicated to all staff. Within CFR Group’s environment, each small gesture is important in order to improve our quality of life, the future of our children and our planet. CFR Group undertakes to comply with all environmental laws and regulations and to recycle all raw materials used in manufacturing. Daily gestures are part of our environmental culture: for example, we strive to minimize the use of paper in order to reduce our environmental footprint!